Ten years ago, a blogger named Jennifer Novic shared a fun recipe for hot fudge sundae cake with us. Her blog is no longer active, but I knew her delicious creation must live on. 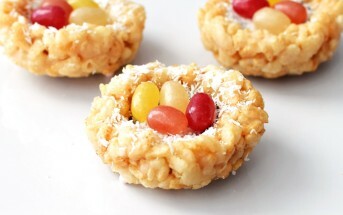 So I tested and tweaked to create a full dairy-free dessert that is a delicious option for parties or afternoon treats. How Does Hot Fudge Sundae Cake Work? 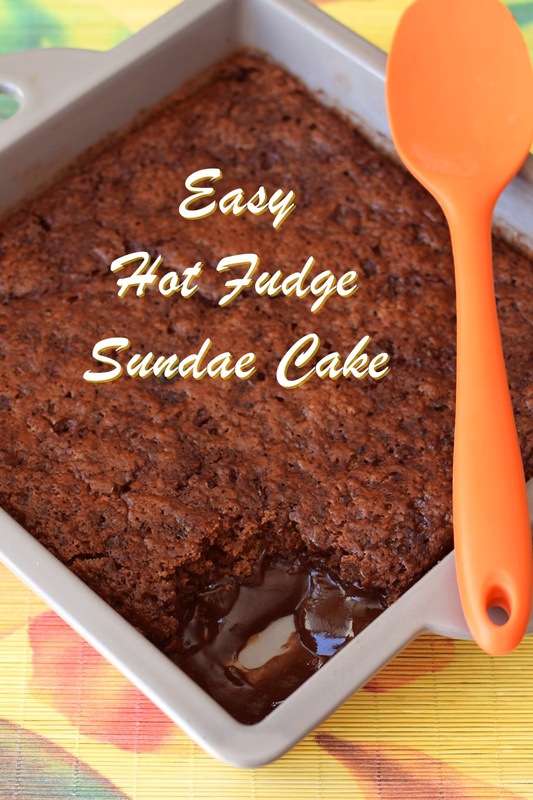 This hot fudge sundae cake takes just 15 minutes of preparation, from pulling out the ingredients to popping it in the oven. The method of pouring hot chocolaty liquid over top causes the layers to separate. A chocolate cake floats to the top, and a generous layer of fudgy goodness nestles at the bottom, as you can see in the picture above. To note, the “fudge sauce” layer is a little thicker than a sauce. It’s got an almost pudding-like texture, but works with the cake and dairy-free ice cream topping for an amazing hot fudge sundae cake experience. For the drizzle of hot fudge on top, I whisk any residual fudgy stuff from the pan with a little water and/or coconut oil. The water just thins it, but the coconut oil initially thins (it melts in) and then thickens it again as it hits the cold ice cream. I like the clingy, thickening effect that a little coconut oil provides. Yes, the dairy-free ice cream on top of this hot fudge sundae cake is a MUST. Trust me, it completes the flavor experience, and it adds a complimentary creamy layer. Speaking of dairy-free ice cream, I actually whipped up this hot fudge sundae cake in honor of the Share a Moment, #RaiseAPint Event and corresponding blogger recipe contest. 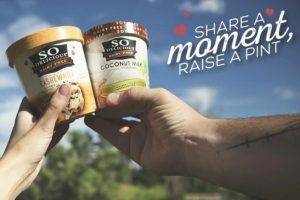 The event is being hosted by So Delicious Dairy Free, and invites all of you to share favorite dairy-free summer moments on Instagram, Facebook, or Twitter with the hashtag #RaiseAPint. Consequently, there will be prizes (20 ice cream party packs! ), tips and recipes. 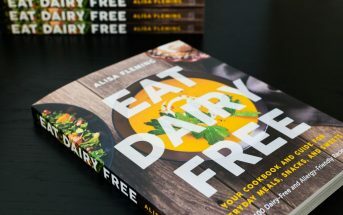 The ice cream-inspired recipes will be from the So Delicious team, me and my team here on Go Dairy Free, and 21 talented bloggers and cookbook authors. I’ll be sharing all on Facebook, Twitter, Instagram and Pinterest. But don’t forget to bookmark this hot fudge sundae recipe before you head over to check out all of the action. FYI so I made this in a crock pot today & it turned out so good! I scooped some in bowls then warmed up a bit in micro before topping with ice cream. Yum!! This post is sponsored by So Delicious Dairy Free. Their AMAZING Cashew Milk Frozen Dessert was the inspiration for digging up and rehashing this recipe. Nonetheless, it works great with the Coconut Milk Frozen Dessert, too! 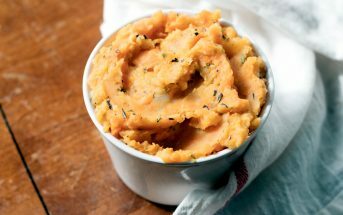 By ingredients, this recipe is dairy-free / non-dairy, egg-free, optionally nut-free, optionally peanut-free, soy-free, vegan, plant-based, and vegetarian. 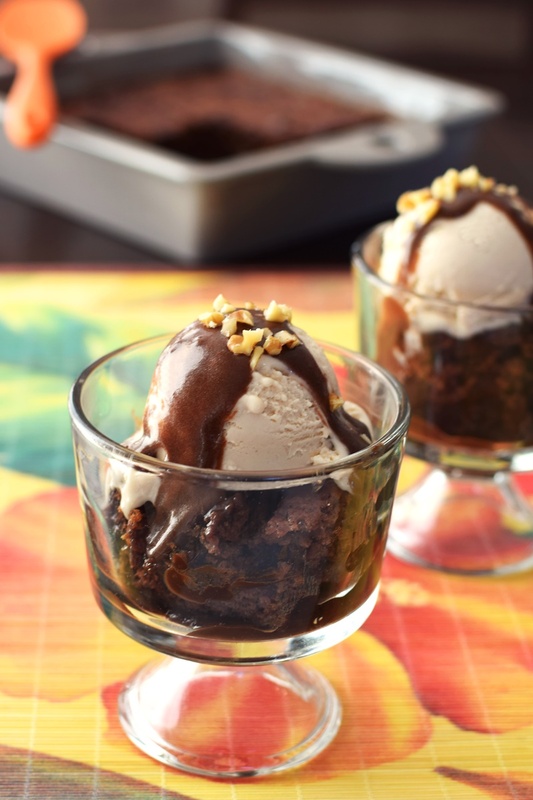 To keep this hot fudge sundae cake nut-free, omit the nutty topping and use a dairy-free ice cream without nuts, like coconut milk or soy milk ice cream. For a gluten-free hot fudge sundae cake, swap your favorite gluten-free flour blend for the all-purpose flour. This tends to be a fragile cake that you eat sundae-style, so it’s okay if it is a touch crumbly. Add the flour, sugar, 2 tablespoons cocoa powder, baking powder, espresso (if using), and ½ teaspoon salt to a mixing bowl. Stir or whisk until combined and any clumps of cocoa are broken up. Make a well in the flour mixture and add the milk beverage, oil and vanilla. Stir to combine. The batter will be a bit thick. 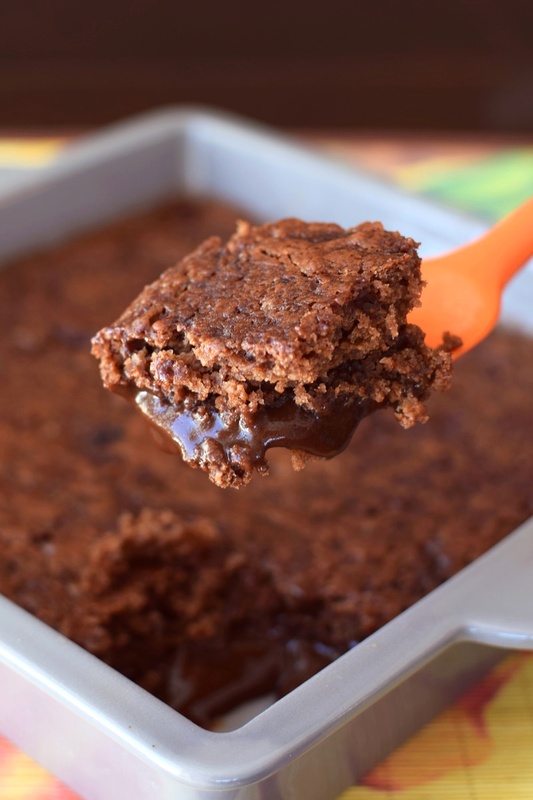 Scrape all of the batter into a 9x9-inch ungreased baking pan, and spread to even out. Add the brown sugar, ¼ cup cocoa powder and ⅛ teaspoon salt to your mixing bowl. Add the hot water and whisk to combine. Slowly pour the chocolate liquid all over the batter in your pan. Bake for 40 minutes, or until a toothpick inserted into just the top cake layer comes out clean. Let cool 10 minutes. Serve the cake topped with 1 to 2 scoops of the dairy-free ice cream. You can optionally top with nuts and whisk water or coconut oil into any remaining sauce in the pan (it is thick, with a pudding like texture) to drizzle it over the top, too. Slow Cooker Option: This was shared by Jennifer Novic with us previously. 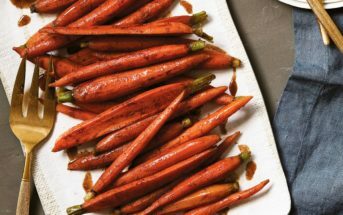 Follow the preparation instructions, but add the cake and sauce ingredient layers to a slow cooker. Cover and cook on HIGH for 2 to 2½ hours or until a toothpick inserted in the cake center comes out clean. Turn the crockpot off and let the cake stand uncovered for 30 to 40 minutes before serving. I’ve got this in the oven right now for my hubby’s birthday. The only non-dairy milk I had was silk dark chocolate almond… I can’t wait to try it! I hope you both love it and happy birthday to your hubby! YUMMO! Hot fudge sundae cake is a yes please in my book. And LOAD it up with cashew milk ice cream and sauce please!! This looks amazing! I have to try this recipe for my son! I bet he’d love it! Thanks for sharing. 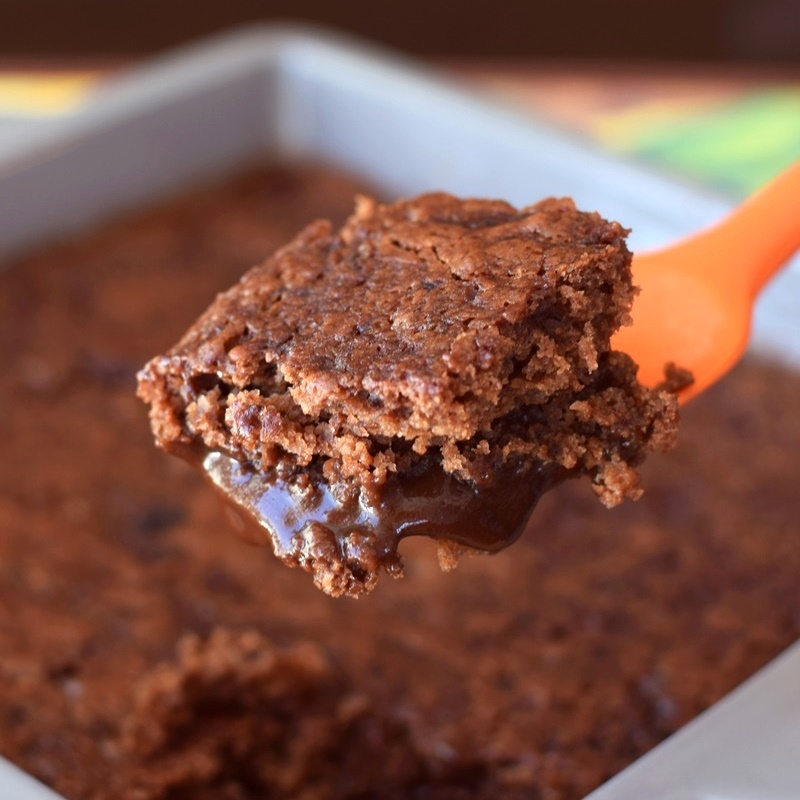 This looks just like a pudding cake my grandma used to make me, yum! Yes, it’s very much like that! Oh man I need this in my life right now. It sounds so good. This cake looks so absolutely decadent! I love the double layers of goodness. That fudge at the bottom-oh my. I go crazy for brownies like these! That looks crazy good! I love that gooey chocolate and the fudgy brownie with yummy So Delicious ice cream. Oh my god! That dripping chocolate… and that combo of warm chocolate with cold ice cream. So perfect! It is indeed a heavenly combination. I had trouble holding back on the taste-testing! Hot fudge Sundae CAKE??? Wow! That sounds (and looks) so incredible. I would have no problems polishing off a couple of portions of this with mountains of So Delicious Ice Cream! Me too, and the mountains of dairy-free ice cream are definitely a must! This is just like a recipe my mom made for us growing up–what memories just came flooding back! Love it! That’s so great! I’d actually never heard of it in childhood, but it does seem like such a nostalgic dessert. Fudgy, cakey, chocolatey….I need to try it! Oh my gosh, this cake looks so good and chocolaty! I love this! I used to make a similar “pudding cake” before I started eating a plant based diet and I’ve been meaning to veganize it ever since. In the meantime, I’ll just enjoy this delicious treat! Oh, I do hope you make your version sometime soon, too, Jenn! I bet it will be incredible. Oh, my gosh! That looks outstanding and so decadent! Now this is a dessert!! How delicious and decadent!